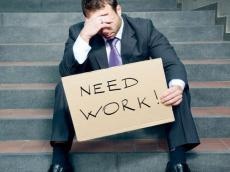 Unemployment which we commonly refer to the economic issue, has also very serious psychological aspects. Indeed, a job is an important part of social life for many able people and the loss of a job does not only mean the withholding of a paycheck but the loss of security, routine and interpersonal relationships. The official statistics on unemployment looks quite sound in Azerbaijan with population of more than 9.6 million people: the number of registered unemployed people in the country totaled 29,200 people by May 2015, despite the fact that the country has more than 4.85 million working-age persons. Losing a job or the inability to seek occupation may change the individual, as for most people losing a job is incredibly painful. Although having an occupation is not compulsory for females in many societies, for the male demographic on the planet, it is a necessity. For instance, in Azerbaijan, men remain the major breadwinners for their families and having a job means security for them. Indeed, unemployment in many cases is stressful and job loss could result in a serious erosion in a person’s sense of control and self-esteem. It is doubly stressful for a man if has taken on the entire financial burden of the family. An unemployed man could experience changes not only in his private life, but also in his relationships, goals, values and priorities. Unemployment also tests relationships with loved ones and may intensify existing problems. Psychologist Elnur Rustamov told AzerNews that today, gender inequality is no longer a problem in Azerbaijan. “Women in Azerbaijan are trying to live more active lifestyle, and they have become more purposeful,” he stressed. He claims that women between 30 and 40 often seek to occupy their time and do not want to just sit at home. “Children grow up and can take care of themselves, that’s why a woman’s duties are declining and she does not want to sit at home. So, she goes to work to lift her spirits and communicate with others,” Rustamov explained. Also, long periods of employment may make people get accustomed to a particular style of personal engagement, while leaving this social environment may result in depression for them. For instance, a growing number of studies show that retirement is, in fact, bad for health. Rustamov agrees that a long gap in the employment -- especially if the person previously worked continuously -- leads to chronic stress. A report published by the London-based Institute of Economic Affairs in 2013 found that retirement increased the chance of suffering from depression by 40 percent, while it increased the probability of having at least one diagnosed physical ailment by about 60 percent. Some researchers testify that the first year of retirement is beneficial for health because it’s nice to get some rest from work. But after two to three years, the mental and physical conditions of retirees began deteriorating. The retirement age in Azerbaijan is 60 years for women and 63 years for men. Currently, their ranks have reached 1.3 million, of which 61 percent are pensioners. Rustamov said that there are those in the country who can find a way out of the situation, focusing on other activities that would keep them busy and not to sit idly after retirement. For instance, active engagement in social activities may be really interesting and beneficial for elderly people. At the same time, some retirees try to find a job on the side, like teaching or being engaged in tutoring, or a job in private clinics for retired medical professionals. Specialists believe that the longer one is unemployed, the more difficult it will be for him/her getting out of the unemployment rut. Chronic unemployment can be permanent, as the longer one is unemployed, the less attractive he or she might be to potential employers.